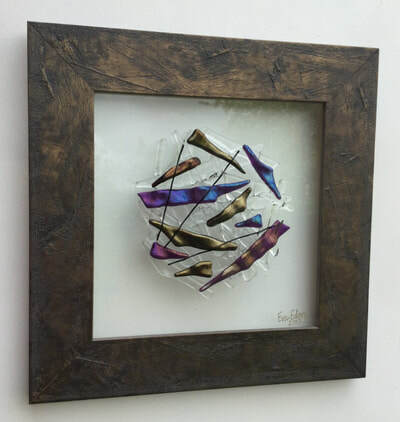 Eva is passionate about making glass wall art part of contemporary art collections. She strives to make her pieces timeless, bold and vibrant. She gets her inspiration from life events, human relationships and nature. She has developed signature collections such as the 'Tree of Life', 'Finding the Balance' and 'Heart Beat'. All pieces are bespoke and she customises her art to client needs. As a keen artist since a young age and after 20 years of corporate life in management consultancy, Eva became passionate about glass art in 2011 which has now become her full time occupation. She founded her company Crescendo Ltd in 2012 and now mostly works on commissions for UK and International based clients. 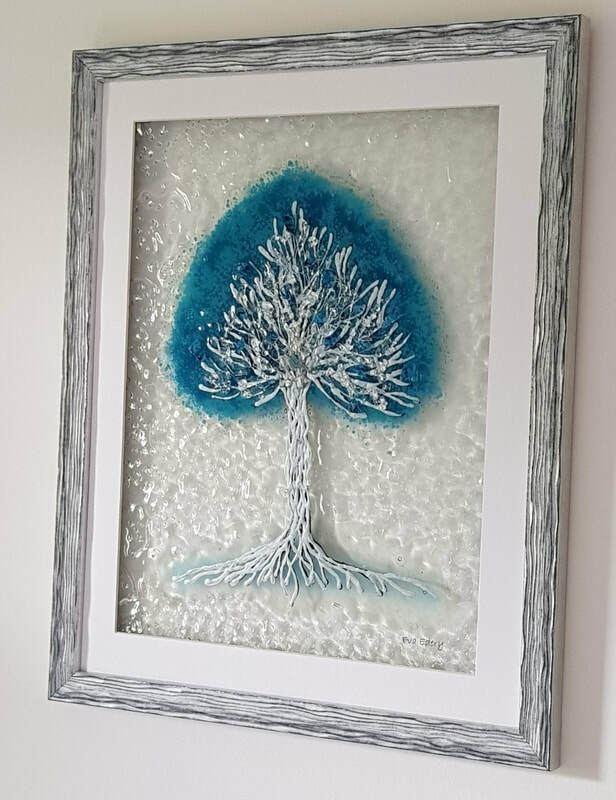 She specialises in glass wall art and has developed her own techniques which make her art unique. 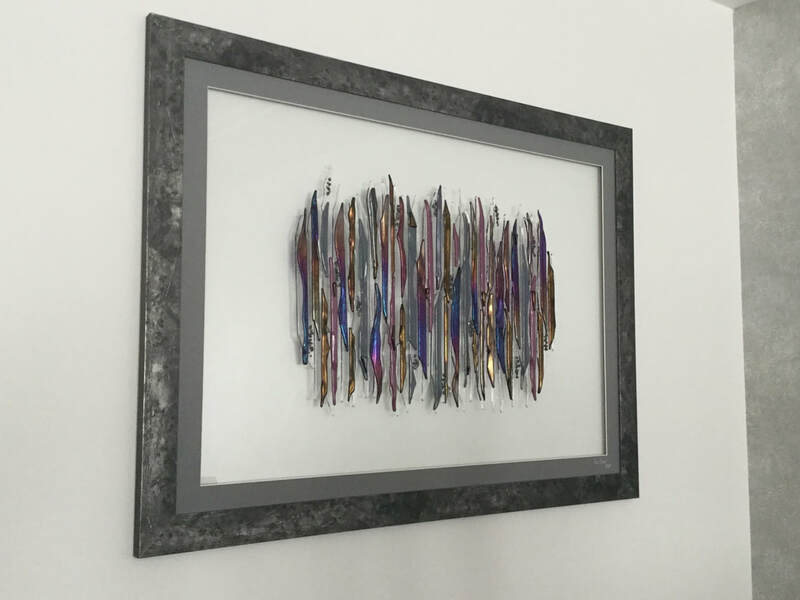 She gets involved in Interior Design projects to include glass wall art in contemporary homes offering bold and bespoke statement pieces. She exhibits both in the UK and Europe, with regular exhibitions at the Radlett Centre and the Upstairs Gallery. Her pieces can also be found in private collections.